You will appear in the acknowledgments of the book. You will appear in the acknowledgments of the book + book "Markaz Tulkarem, the return of the refugee team"
Lot of 3 DVDs about Palestine ("Internationals in Palestine" and "To Shoot an Elephant", by Alberto Arce, and "The sun does not shine in the camp", by Balata Film Colective). Osasuna official scarf (only 20 units available). "Global Terrorism" (ed. Txalaparta) / 5 units. "Conversations of Palestine" by Noam Chomsky (ed. Txalaparta) / 5 units. Joseba Zabalza's book "Stories of strength and loneliness" about the Palestinian refugee camps in Lebanon / 20 units. 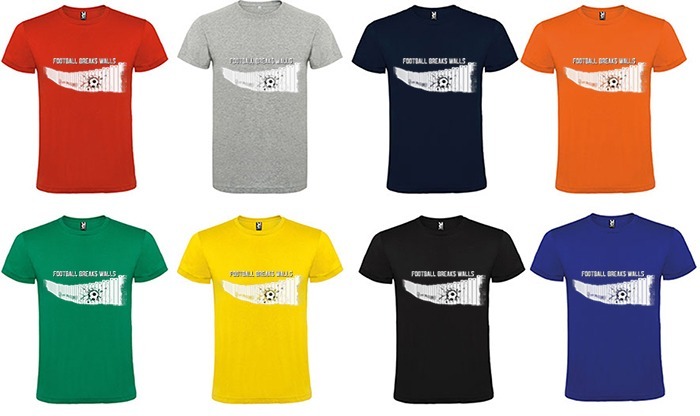 Agradecimiento en los créditos del libro + libro “Markaz Tulkarem, el retorno del equipo refugiado” + camiseta deportiva “Free Palestine” (tallas disponibles: 2 de S, 7 de M, 6 de L y 5 de XL) de la marca "198 Queremos cambio"
You will appear in the acknowledgments of the book + book "Markaz Tulkarem, the return of the refugee team" + exhibition for 15 days. NOTE: Travel expenses of the exhibition by the organization. You will appear in the acknowledgments of the book + 5 copies of the book "Markaz Tulkarem, the return of the refugee team" + exhibition for 15 days + talk. You will appear in the acknowledgments of the book + 5 copies of the book "Markaz Tulkarem, the return of the refugee team" + exhibition for a month + talk. 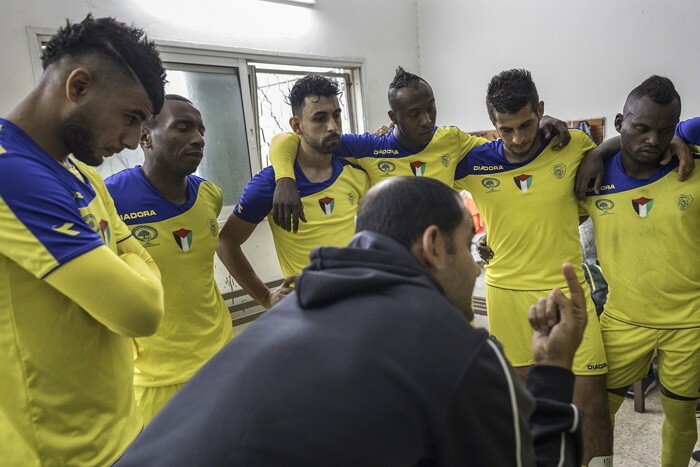 We travelled to Palestine in November 2017 and May 2018 -beginning and end of the football season - to follow the life of Markaz Tulkarem football team during the league. We have follow his development in the competition, his displacements, the passion of his fans, etc. 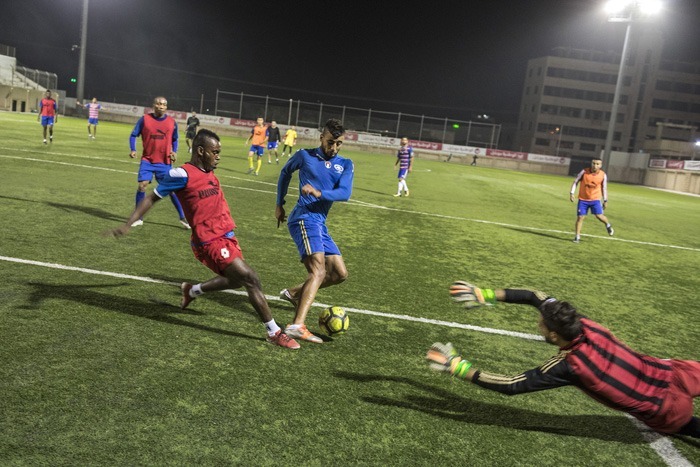 With a mainly journalistic and photographic base, we want to tell these daily stories and testimonies in the context of Palestinian football, combining image and word in a multiplatform product. A project website by a CMS (Content Management System), a multimedia virtual space that serves as a support and diffusion for the book and the exhibition, etc. WHERE IS MARKAZ TULKAREM TEAM FROM? Tulkarem is a town located in the north of the West Bank in Palestine. 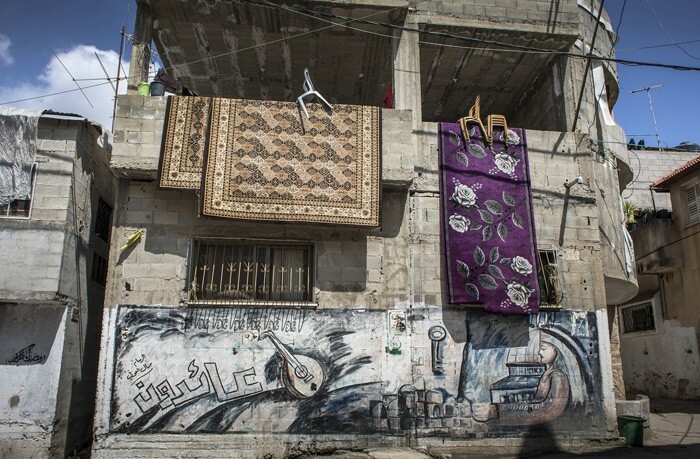 In this city there are two teams in the First Division: Thagafi Tulkarem and Markaz Tulkarem, this one located in the city refugee camp, a very common reality in many Palestinian cities. 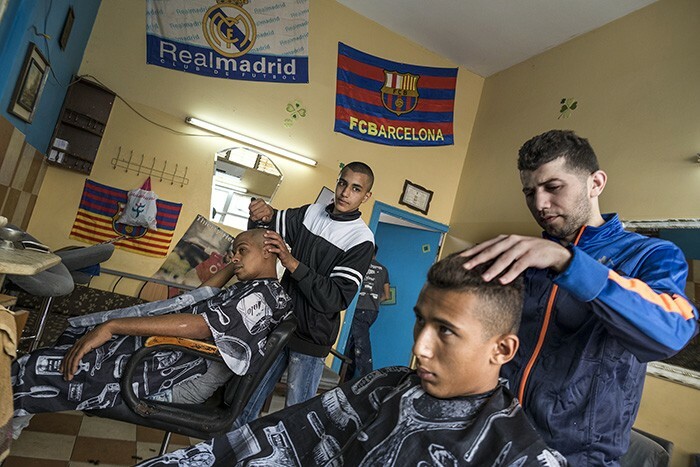 Markaz Tulkarem club is the social, cultural and sports center of Tulkarem refugee camp. Founded in 1956, it maintains four teams at lower levels in addition to the professional. During the 60s, 70s and 80s it was one of the most popular teams in the West Bank. 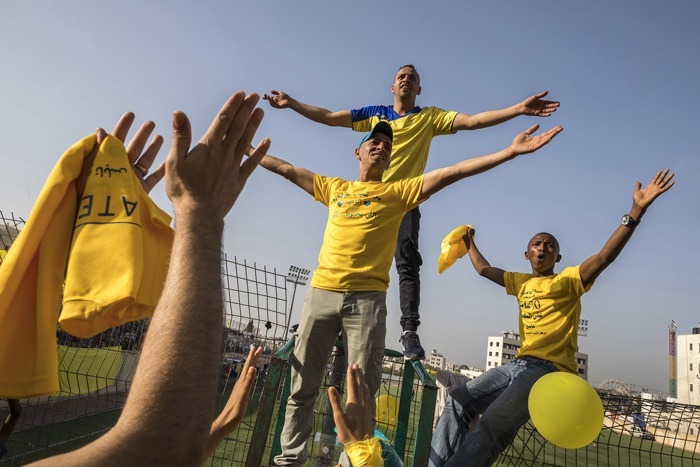 Their nickname is Azeem (teacher) and they are also called "Palestinian Brazil" because his yellow t-shirt. Although several refugee camp teams are called Markaz, Tulkarem is the only one known by this name because of its historical importance. 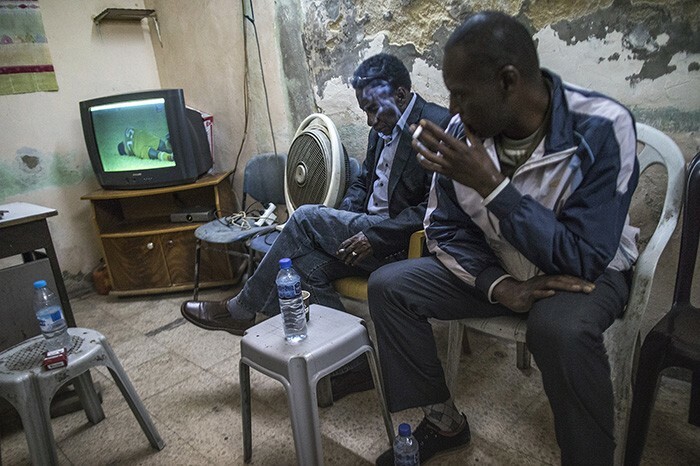 Markaz fans are not limited to the refugee camp population but is all over Tulkarem and its surroundings. 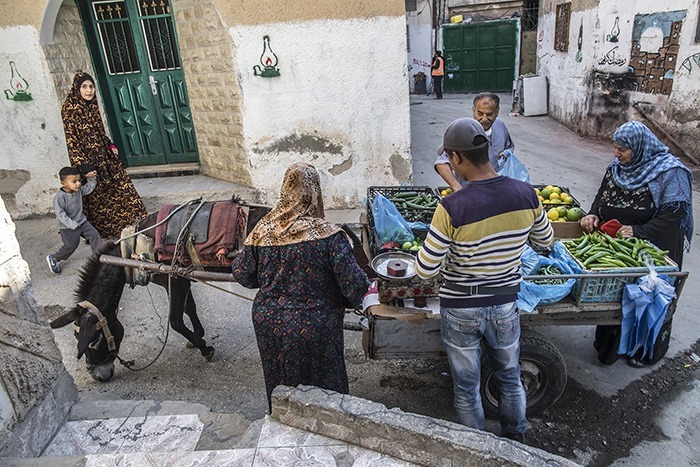 Located in the heart of Tulkarem, the refugee camp is home to 20,000 people and is the second largest in the West Bank. It has a clinic and four schools, two for boys and two for girls. 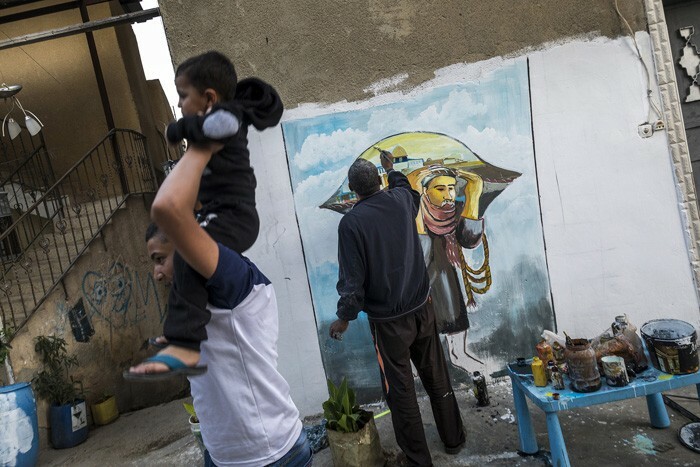 According to UNRWA, it is the most overcrowded camp after Balata –as its size has not changed since 1948– and the one with the highest percentage of black population in the country. 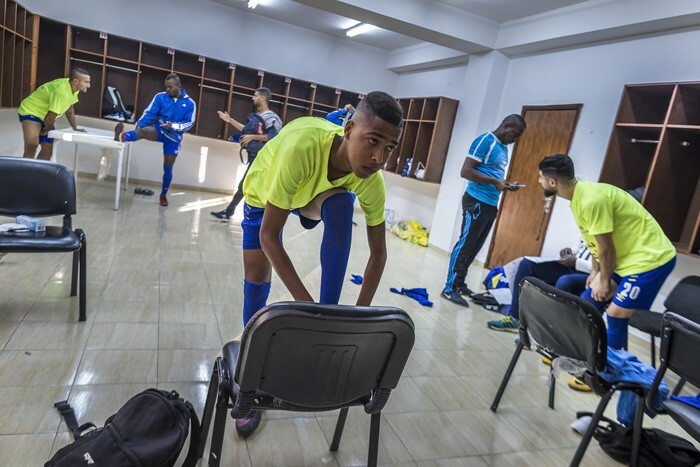 There is only one indoor football field, which everyone can play if it is free –t is often used for refugee camp celebrations, such as weddings–. 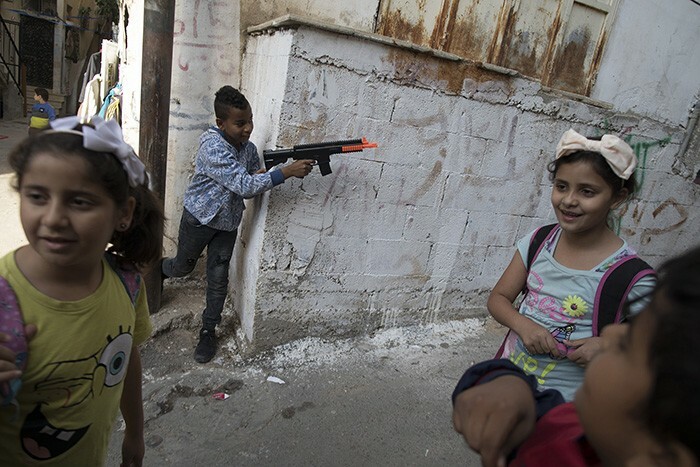 Tulkarem was very active during the intifadas and since 2000 150 people have died, most of them at the beginning of the decade. 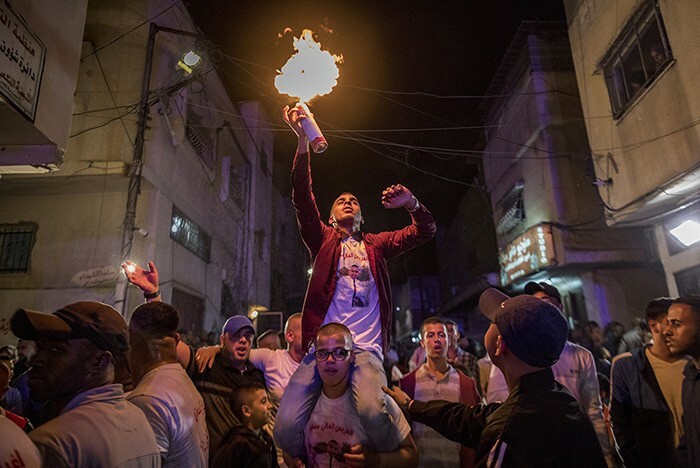 Night raids and arrests by the Israeli police are common, depending on the political situation. 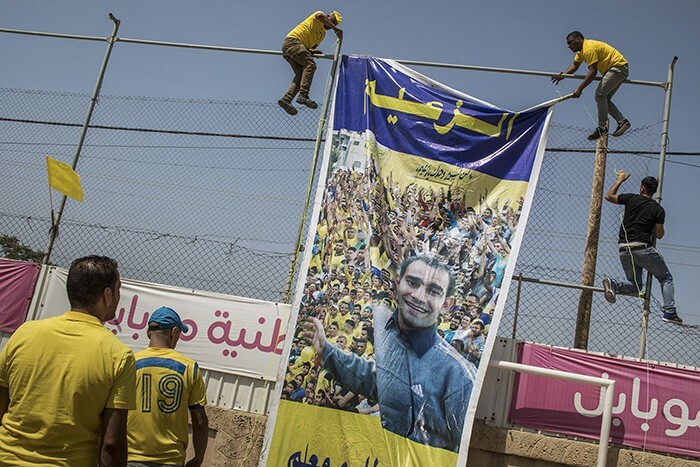 Markaz Tulkarem president, elected by the people of the camp, spent five years in prison and his vice-president have been in jail seven years. The goalkeeper coach is also familiar with Israeli prisons. 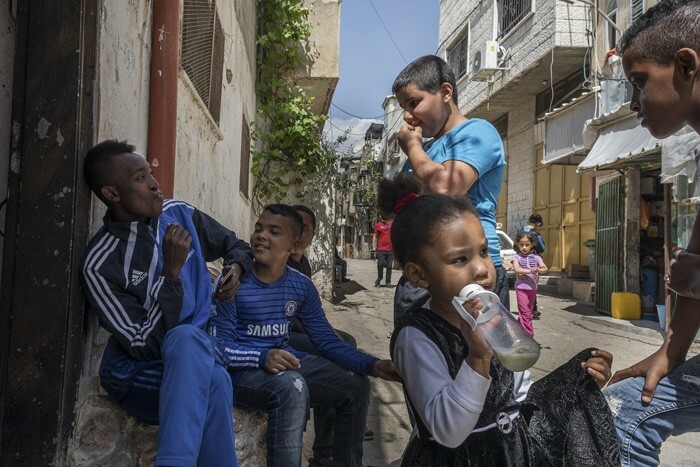 With this work we want to show how is daily life in a West Bank refugee camp and live football close up away from the big shows, a type of football that in this case is an important pillar of the community. 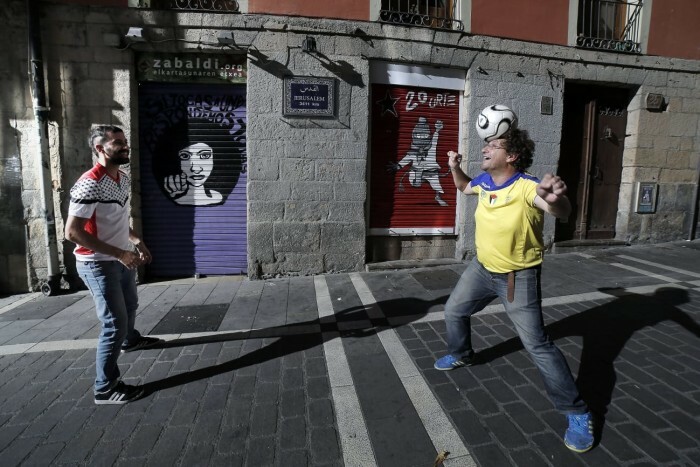 To show the implantation and influence of football in the country and in each particular community. 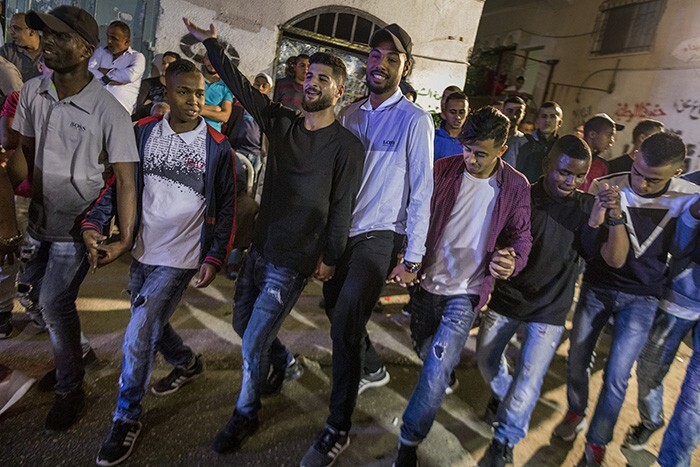 To enter into the lives of players and fans, the routine life of a population with high unemployment rates, many lack of materials and basic necessities, where the violence exerted by the Israeli army and the police goes beyond the limits of what is bearable. To reflect on the role of sport in general and football in particular as an escape valve to try to live a more normal life, in a place where they have so many problems. To spread the reality of Palestine and especially to raise awareness about the situation in the refugee camps. The project is an initiative conceived jointly with the Catalan publishing house Pol-len, which is in charge of the edition and diffusion of the book. We also have the selfless collaboration of the artists Exprai and Cabezafuego for the creation of one of the exclusive rewards: Exprai has designed the illustration Football Breaks Walls and Cabezafuego is in charge of the printing of the t-shirts. 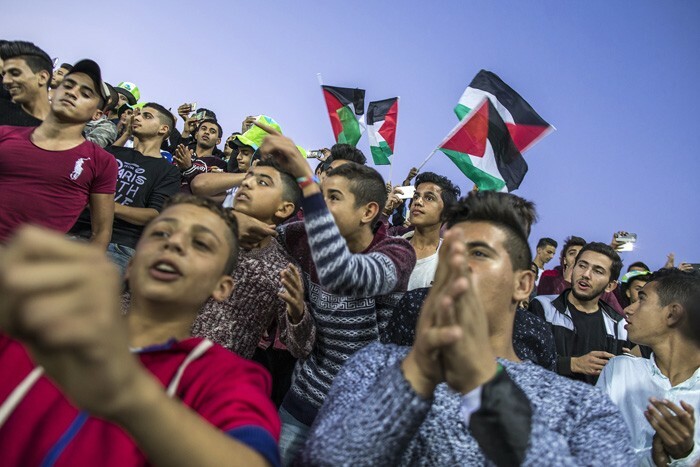 Football has always served the function of turning a tedious afternoon into an event and, in Palestine situation, football is a way of living by resisting at the most basic. Playing football with a ball and a goal made of stones gives Palestinian youth a break from their difficult living conditions. 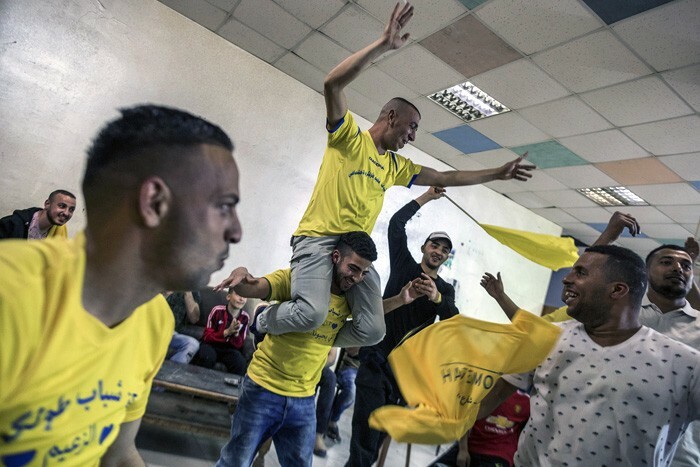 Due to the particularity of Palestinian camps, where the occupation is suffered most, and their situation in the second division at the time of the report (this year Markaz Tulkarem returned to the First Division after some seasons in the second one), we considered that Markaz Tulkarem may be the best testimony to show what football means in Palestine. 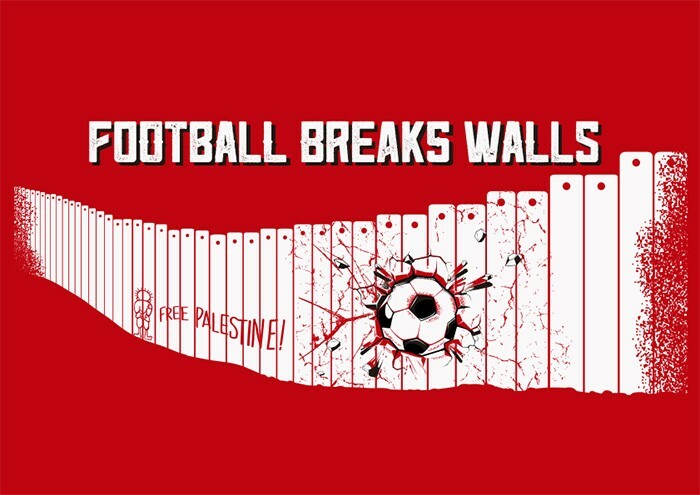 Our project is aimed at all those people who, personally or collectively, are in solidarity with Palestine and its unjust situation that has lasted 70 years, and where, beyond the big business of millionaire stars, football –as happens in so many places– is the most played sport in the world. Freelance photographer. He currently combines his daily journalistic work with personal documentary projects that have taken him to different parts of the world, and also for various NGOs and foundations. He has published reports in various media and communication agencies, such as Agencia LOF, Diario de Noticias, Zazpika, Argia, 7 Haizetara, Agencia AM/comunicación, El Mundo, or El Dominical, among others. He has also made advertising photography for various companies. He has published part of his photographic work in books such as "Los pescadores del lago Suchitlán" (2008); "Historias de Fuerza y Soledad" (2008); about Palestinian refugees in Lebanon "Té amargo" (2012), about the living conditions of those injured by anti-personnel mines in the conflict in Western Sahara; or "Nombres para recordar-Gogoan hartzeko Izenak" (2017), about the silenced victims of the armed conflict in Euskalherria. 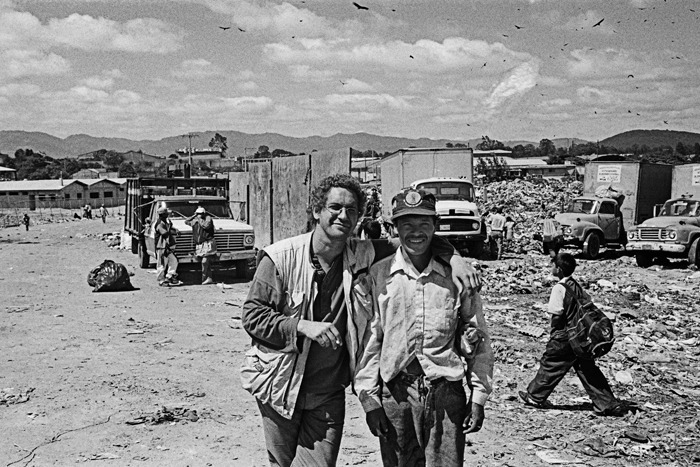 In 2009 he launched his exhibition "Welcome to the garbage mountain", about the human collectives that live from the collection of solid urban waste around the world, which continues to travel through different localities. Producer, editorial designer and journalist, Master in Creative Documentary at EICTV (Escuela Internacional de Cine y TV de San Antonio de los Baños, Cuba), Master in Feminist Studies (Duoda Recerca de Dones, Universitat de Barcelona), Postgraduate in Audiovisual Communication (University of the Basque Country and EiTB), and in Digital Journalism (Eusko Ikaskuntzak-Fundación ASMOZ). He has also participated in different workshops and seminars with reference figures such as Pedro Costa, Robert McKee, Mercedes Álvarez, Carmen Guarini, Nicolas Philibert or Patricio Guzmán. She has worked for numerous collectives and social entities (OCSI, EHNE Bizkaia, Paz con Dignidad, REAS, Saray, etc.) 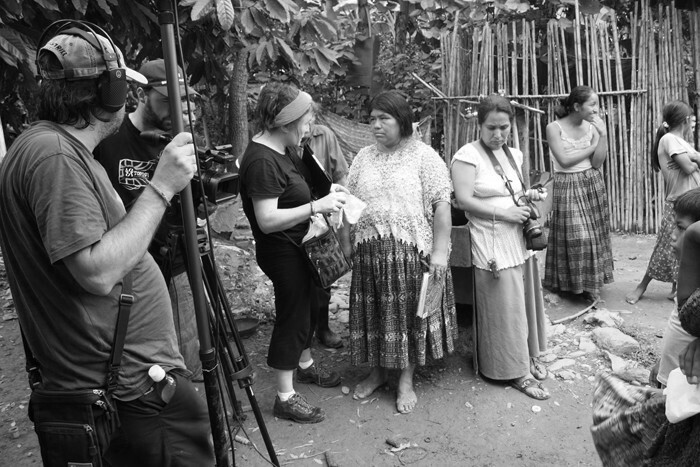 carrying out audiovisual projects on diverse themes such as feminism, historical memory, cooperation, international solidarity or education for development, among others. She also gives courses and seminars on communication strategies, radio journalism, scriptwriting, audiovisual production, etc. She works assiduously in different projects of the Centre de Cultura de Dones Francesca Bonnemaison (Barcelona), collaborating in the development of transmedia projects and new audiovisual narratives. "Entry of Beriain women into the labour market: testimonies" (31' - 2012). XI Muestra "Mujer en escena" 2013 (Malaga Festival). "The agenda setting" (86' - 2012). 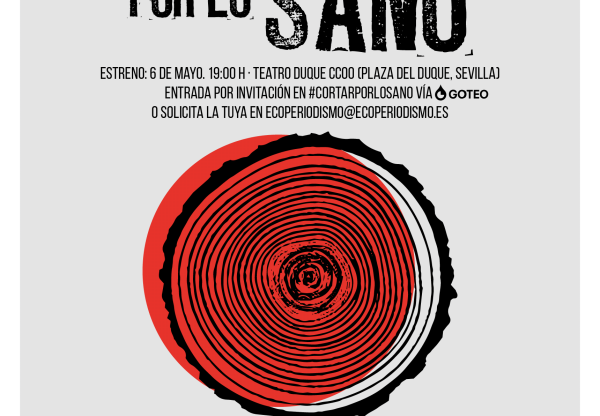 VIII DocsDF 2013 (Mexico DF), Special Jury Mention; XV International Film and Human Rights Festival 2013 (Buenos Aires); X Al Jazeera International Documentary Film Festival 2014 (Doha), XVII International Festival Santiago Álvarez In Memoriam (Santiago de Cuba), Special Jury Prize. Journalist in Hordago-El Salto, previously worked in Diario de Noticias and Cadena SER. Specialist in the history and characteristics of football in Palestine. Producer and director, specialized in streaming concerts and other audiovisual events. He has worked for various groups and entities, also as an advisor in communication. 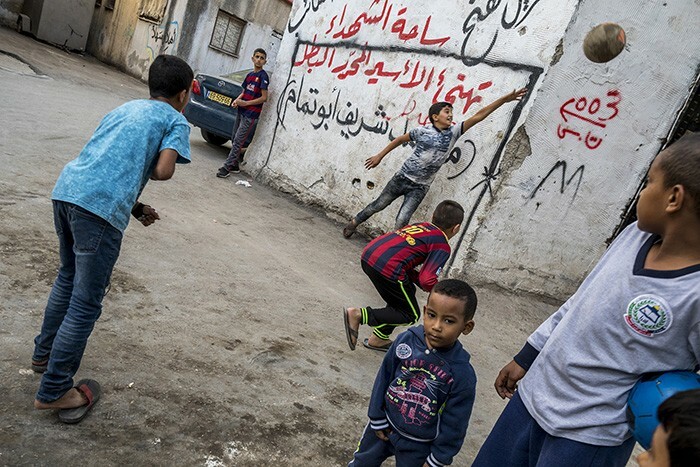 Our work aims to show the reality of the Palestinian people and their struggle and resistance against the occupation by having sport, in this case football, as the axis of the project.